INGLEWOOD, CALIF. (March 26, 2014) – Boxing is back at the Forum (3900 West Manchester Blvd., Inglewood, Calif. 90305) and the historic inaugural brawl will feature four-division world champion and Méxican icon JUAN MANUEL “Dinamita” MÁRQUEZ battling former junior welterweight world champion and the pride of Colorado “Mile High” MIKE ALVARADO. Márquez (55-7-1, 40 KOs), of México City, a longtime Forum stalwart who never lost a fight at the legendary boxing venue, and Alvarado (34-2, 23 KOs), of Denver, CO., will collide in a 12-round World Boxing Organization (WBO) welterweight title elimination bout on Saturday, May 17. The Márquez-Alvarado welterweight rumble will be televised live on HBO World Championship Boxing®, beginning at 10:15 p.m. ET/PT. The winner will challenge the victor of the upcoming WBO welterweight championship rematch between Manny Pacquiao and Timothy Bradley, Jr. Márquez and Alvarado boast a combined record of 89-9-1 (63 KOs) -- a winning percentage of 90% and a victory by knockout ratio of 71%. Promoted by Top Rank® in association with Zanfer Promotions, Márquez Boxing and Tecate, tickets to Márquez vs. Alvarado will go on sale Tuesday, April 1 at 3:00 p.m. ET / Noon PT. Priced at $400, $250, $150, $75 and $35, tickets can be purchased at the Forum box office, all Ticketmaster outlets, Ticketmaster charge by phone (800-745-3000), and online at www.ticketmaster.com or www.fabulousforum.com. And to celebrate boxing’s return to the Forum, any $150 or $75 ticket, purchased at the box office or via Ticketmaster on April 1, between Noon and 4:00 p.m. PT, will include a complimentary companion ticket to the inaugural brawl. Limit six (6) tickets per order. "When Top Rank called and offered a fight with Márquez I started jumping around -- I was so excited because I have the opportunity to get into the ring and retire a Mexican legend,” said Alvarado. "I am great under pressure and I am going to fight like the 'Old Mike' and use my power and my will to beat Márquez. I made a mistake of looking past Ruslan Provodnikov. He jumped on me and got me in a bad situation. He had such an awkward style. The difference against Márquez will be my power. I am going to train super hard for my biggest fight. I am very excited. I am anxious too, to fight the winner of Pacquiao and Bradley. Bradley interests me a lot. Pacquiao has made his mark in boxing. Bradley is undefeated. This fight is my redemption to all of my fans. I know how important this fight is. What a fight with such a reward - to fight the winner of Pacquiao vs Bradley. This is an incredible opportunity. 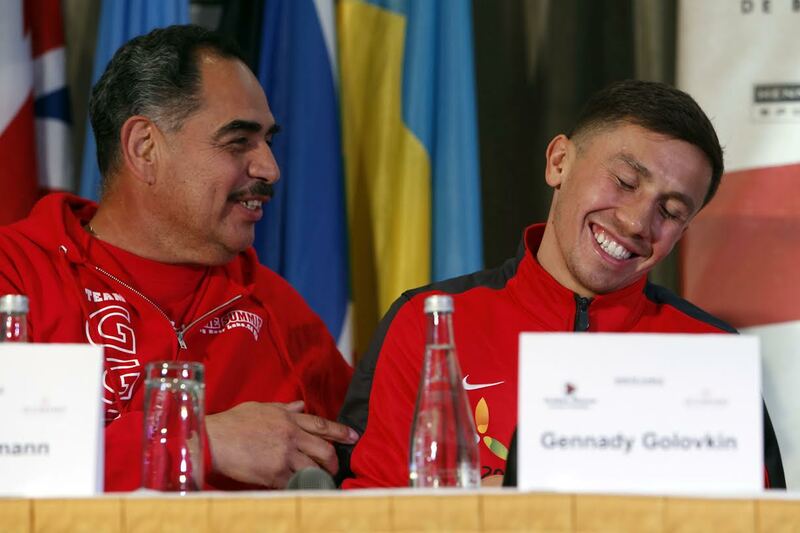 I will be fully prepared to fight Márquez on May 17." 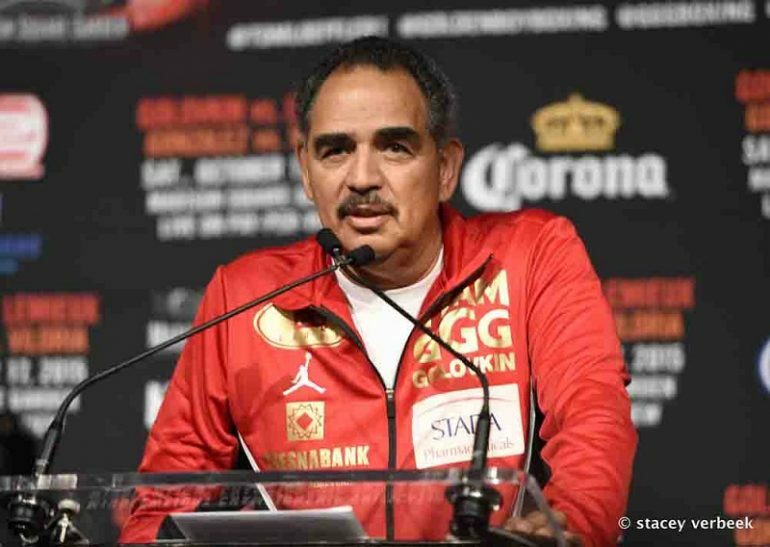 "Márquez vs. Alvarado should be a battle from bell to bell. Both really need this fight and that will make for an exciting encounter," said Hall of Fame promoter Bob Arum. 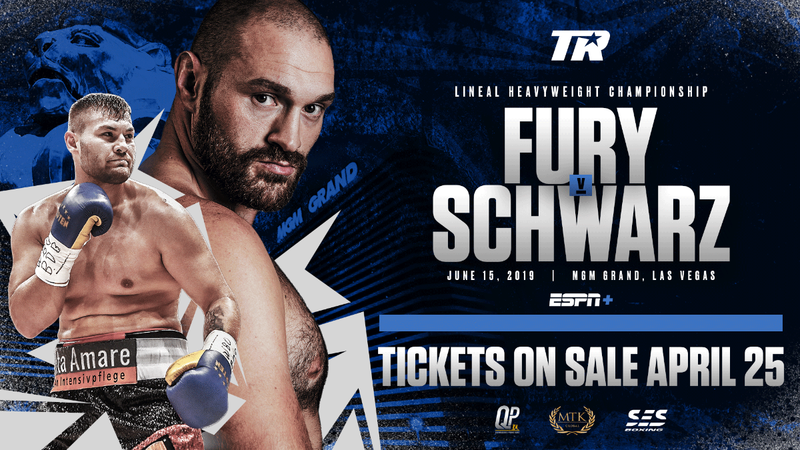 "On May 17, World Championship Boxing delivers a must-see, high-stakes, all-action event," said Peter Nelson, director of programming, HBO Sports. 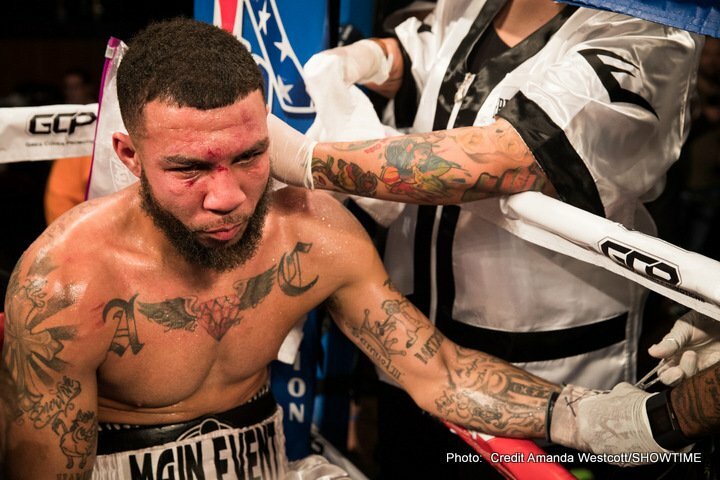 “In a welterweight showdown between two of boxing’s great warriors, Juan Manuel Márquez and Mike Alvarado will rekindle a Forum tradition: fights between men who defy physics, weighing so little while having hearts so big. 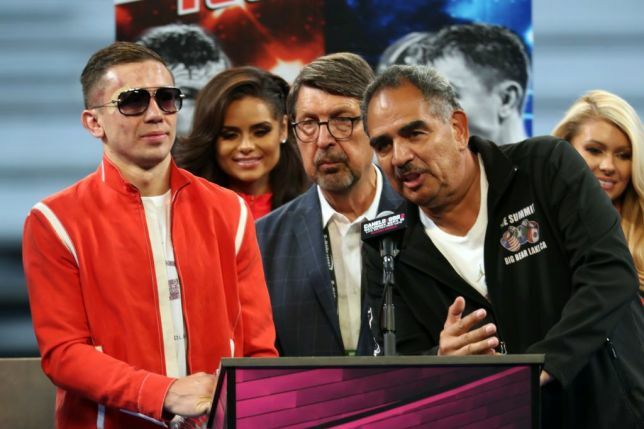 It will be a familiar atmosphere for Márquez as he'll return home, both to the Forum for the first time in 15 years and live on HBO for the first time in four. On May 17, we’ll see if Alvarado can upend Márquez's homecoming to make it his own house-warming. Don't miss it." Márquez, who is trained by Hall of Famer Ignacio "Nacho" Beristáin, is undefeated at the Forum, winning all 12 bouts he fought there, from 1995 through 1999, with nine of those victories coming by way of knockout. Márquez is one of only a rare few fighters from México to have won world titles in four different weight divisions. He captured his first world title -- the vacant International Boxing Federation (IBF) featherweight championship -- with a seventh-round stoppage of three-time featherweight champion Manuel Medina in 2003. He unified that title that same year with a decisive victory over World Boxing Association (WBA) featherweight titlist Derrick Gainer. Márquez successfully defended the titles three times during his three-year reign, which included unanimous decision victories over Victor Polo and Orlando Salido and a Draw with Manny Pacquiao. After losing the crown to Chris John, and winning the interim featherweight crown, both in 2006, Márquez moved up in weight to dethrone the legendary Marco Antonio Barrera and claim his World Boxing Council (WBC) super featherweight championship belt in 2007. After successfully defending the title, by a unanimous decision over Ricky Juarez, he lost the title in his 2008 rematch with Pacquiao by the slimmest of margins -- a one point split decision. Since that fight, Márquez has won seven of his last ten fights, including knockout victories of Joel Casamayor, Juan Diaz, and Michael Katsidis -- the latter two in WBA/WBO lightweight championship fights. In 2012, he won his fourth world title in as many divisions, capturing the WBO interim junior welterweight title with a dominant 12-round unanimous decision over Sergey Fedchenko. He ended that year with his most satisfying victory, a sixth-round knockout of professional nemesis Pacquiao, which was voted the 2012 Fight of the Year and the 2012 Knockout of the Year. Last October 12, in his first attempt at winning a record fifth world title in as many weight divisions, Márquez came up short, losing a split decision to defending WBO welterweight champion Bradley. Alvarado (34-2, 23 KOs) of Denver, had won 10 of his last 14 bouts by stoppage en route to his rematch victory over Brandon "Bam Bam" Rios, on March 30, 2013, which not only avenged Alvarado's loss to Rios in 2012's Fight of the Year, but also made Alvarado a world champion. Alvarado had lost to Rios on October 13, 2012, via a seventh-round technical knockout in one of the most action-packed fights of the millennium. Going into round seven, two of the three judges' scorecards had it 57-57. In the sequel, which was as action-packed as the first fight, Alvarado made subtle adjustments to eke out a narrow but unanimous decision and the WBO junior welterweight world title. 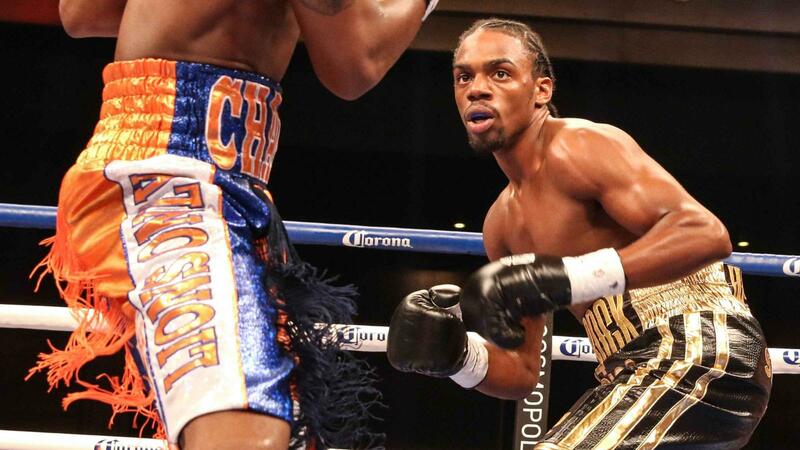 Notable Alvarado knockout victims have included Breidis Prescott, Ray Narh, Emmanuel Clottey and Cesar Bazan. In 2012 Alvarado fought in two Fights of the Year-nominated fights. On April 14, 2012, Alvarado went toe-to-toe for 10 brutal and exciting rounds winning a unanimous decision over Mauricio Herrera (18-1, 7 KOs). Herrera entered that fight world-rated No. 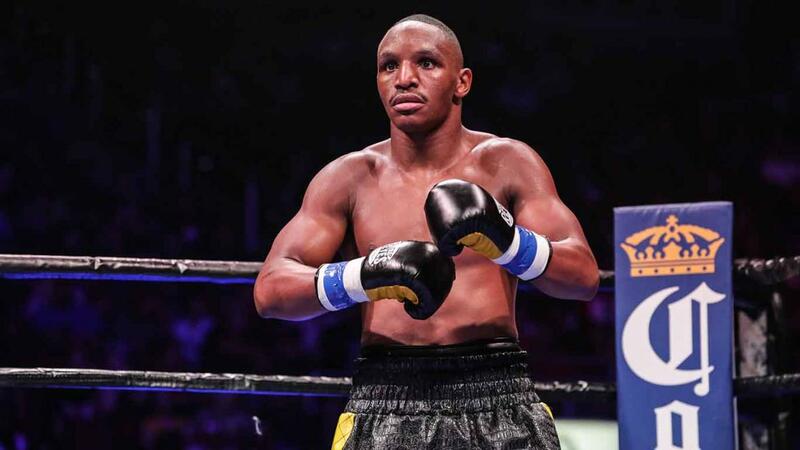 7 and riding a two-year, five-bout winning streak, highlighted by victories over future world champion Ruslan Provodnikov (17-0) and Mike Dallas, Jr. (17-1-1). That was followed by his first fight with Rios in October. Alvarado's world title reign ended in his first defense, last October 19, where he suffered a12th-round TKO to Provodnikov in front of a sold-out crowd in his Denver homecoming. .
For fight updates go to www.toprank.com or www.hbo.com/boxing, on Facebook at facebook.com/trboxing, facebook.com/trboxeo, or facebook.com/hboboxing, and on Twitter at twitter.com/trboxing, twitter.com/trboxeo or twitter.com/hboboxing. Use the hashtag #MarquezAlvarado to join the conversation on Twitter.